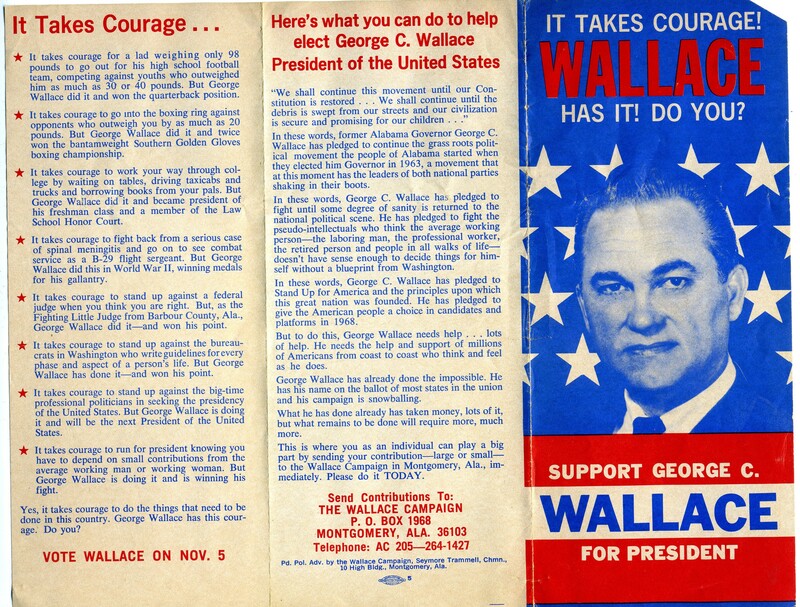 The tri-fold pamphlet encourages support for George C. Wallace’s run for president in the 1968 election as an Independent. 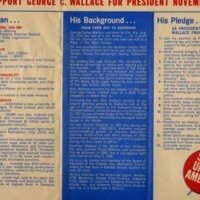 The pamphlet presents information concerning his qualifications, background, and what he promises to do if he is elected. 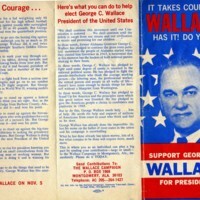 The back of the pamphlet gives information for donations to Wallace’s campaign. 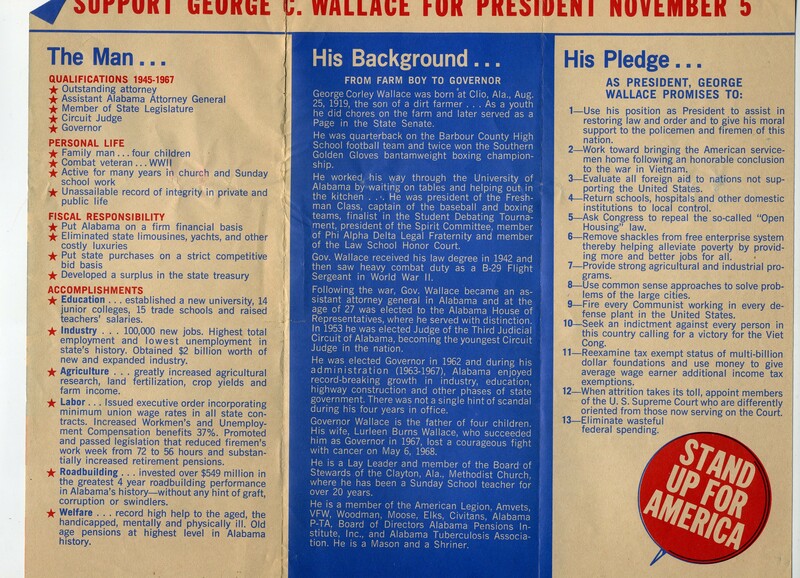 “George C. Wallace pamphlet for Presidential Election 1968 ,” UIS History Harvest, accessed April 22, 2019, http://uishistharv1.uis.edu/items/show/149.